The pinnacle of Draconic research, you have learned how to use this power to store more power than anything else invented. Using multi-block strategies you can build ever-larger storage devices. To use this block simply place it in the world and right click it with a single emerald (you must only have one in your hand) to charge it. Next time it starts to rain simply apply a redstone signal and the block will activate and stop the rain or if you apply a constant redstone signal the block with automatically activate whenever it starts to rain.This block can also start the rain or create a thunderstorm as needed so long as charges are available.1 emerald gives 10 charges and the number of charges remaining is indicated by the gauge on the side of the block. Everyone needs effective mob farms. For the cost of a bit of solid fuel (coal, charcoal, etc. ), you can kill to your hearts content knowing the forces of the Draconic have your back! Ever find the need for power beyond simple coal? The generator is here to fill that need!When used in conjunction with certain blocks in the mod it performs better at transferring power. If you are a server admin or map creator this block is for you! (creative or op only as there is no recipe on purpose)Created at the behest of GreatOrator, it allows for a configurable range for teleporting. What makes this different is it is purely random.Nearest player to the block when activated with redstone will be teleported to a random location (default is 1000 minimum and 10,000 maximum) from the block. If that spot would place the player in water or in the air, a block is generated below them. Purely decorative, this blocks allows for fully customizable particle effects to be created. This is an extremely powerful block that allows you to change the time. Simply place it in the world and and apply a constant redstone signal. Once the device charges it will fire a particle beam at the sun accelerating it to 30X its normal speed. Simply shut off the redstone signal when you have the sun where you want it. Simple player detection, can be adjusted up to 10 blocks range to detect any players nearby. Now you’re moving to the big leagues! The results of using the Draconic Dust in a furnace. Used in most recipes. With the power of draconium you find a way to harness the heat and light of the sun. Dropped by the Ender Dragon. Perfect when paired with the weather controller. Detects rainfall (or lack thereof) and emits a redstone signal. There are two tiers of tools and weapons except for the hoe and axe of which there is only one. The names of these are Wyvern and Draconic.There is a third, and final, extremely powerful item that is available at great cost, but well worth it. Wyvern – Having enjoyed the protection of diamond for so long, you realize that you can infuse it with the power of the Draconic. Draconic – Further Draconic research has shown you ways to even greater protection..
Full set of Draconic Armor also gives you full protection from fire! Wyvern – Weary of ordinary tools you begin to understand ways to use Draconic energy to upgrade. 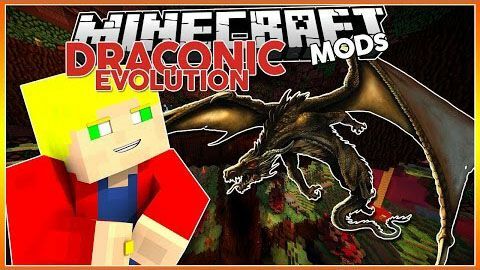 Draconic – Further Draconic research has shown you ways to even greater power.. Right Click to activate: Obliteration Mode – Destroys stone, cobblestone and netherrack. Will till an entire 9×9 area, just perfect for a full-size farm with water source. 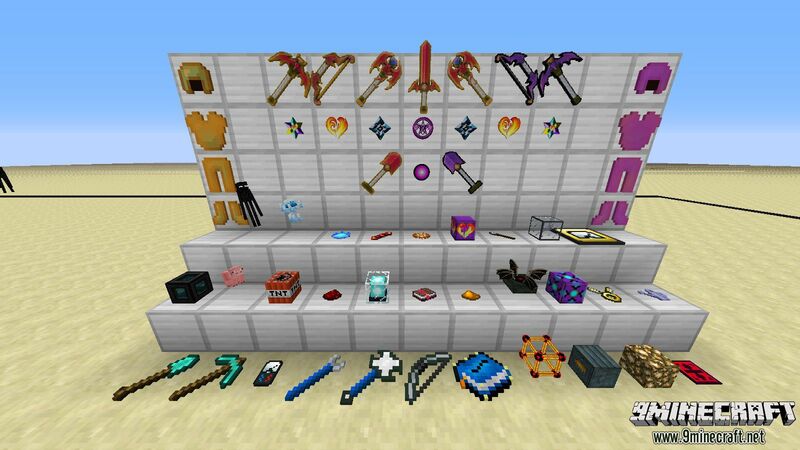 Also will dig or replace dirt (if dirt in inventory) to make the full 9×9. Will harvest the entire tree and leaves above. Right Click to activate: Obliteration Mode – Destroys dirt, sand and gravel. Rapid Fire – Barrage your enemies in a rain of arrows. Devastation (Creative Mode only) – Explodes an extreme area in rapid fire mode. After great pains you have mastered the powers of the Draconic! Mining – Right Click to activate: Obliteration Mode – Destroys all non-valuable blocks. You have managed to infuse the powers of The End with your knowledge of the Draconic to create a basic teleporter, but at a cost. The energies binding them are unstable and only last for 10 uses and will take some of your life energy with each use and can only be linked to a single location but works across dimensions. Once used up, you must create a new one. Enhanced Charm (pictured above)- Learning how draconic powers interract with the powers of the endermen, you have created the ultimate teleporter. You can now store up to 5 locations and using the endermen’s own pearls as fuel, created something that can teleport you across dimensions at will. Both will allow you to also click on any non-boss mob and send them to the target destination. The ritual of ender resurrection allows you to summon the EnderDragon. The ritual is set up like this. The pillars dont have to be in that exact configuration as long as they are within 5 blocks of the Resurrection Stone it also looks a better if they are symmetrical. Once you have that setup simply right click the Ritual stone and stand back. The ritual should start immediately if it dosnt you have done something wrong. During the ritual all of the Ender Crystals will be re-activated. At the end of the ritual there will be a massive explosion at the centre of the structure that wont do too much damage to the terrain but will kill anything that is standing too close. The dragon that is spawned by the ritual is almost identical to the original dragon except it has a different texture (By GreatOrator) and it gets harder to kill and deals more damage each time it is summoned (this increase is per player and stops when it reaches a certain difficulty) It also has regeneration for 25 seconds.